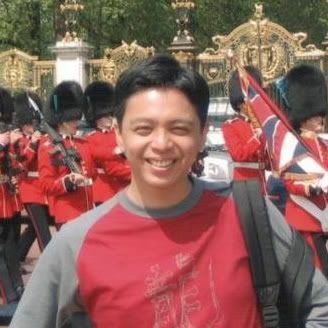 Here is another post in the series "When blogging become much more than just blogging". I am loving the extra dimentional relationships formed and cultivated through blogging and when Anita asked a few of us to take her first released book "Field Guide To Cookies" on a virtual tour, I literary smiled from ear to ear. Anita is a sweetheart, a terrific baker, a great friend, a fellow Daring Baker (we hosted the Saint Honore challenge together), and an extremely talented writer. Indeed, no one can describe flavors and textures as well as she does. Trust me. Head over to her blog, Dessert First and then tell me if you did not get lost in the fold of a sweet pie or the silkiness of an ice cream. It just happened that Anita asked us to take her book on a tour at the same time that I was completing the Princess Torte assignment for Desserts Magazine and the editor mentionned that the next issue would be on cookies. Ha! "Well...I am just getting this nifty pocket book filled with 100 recipes of cookies from all over the world. I am sure I can come up with something!" And I sure did! Viennese Crescents, Indian Cookies, Algerian Almond Tarts, Dark Chocolate Crinkles (I won't post the recipe as you can see on another host's blog, Sara from Ms. Adventures In Italy), Pecan Sandies and Turtle Bars were made and devoured by the neighbors and us in a mere couple of weeks. They went so fast that I did not have the chance to take a picture of the Turtle Bars...they were going faster than I was cutting them! “The Field Guide To” is a fun and informative series on how to master almost anything in the kitchen from meat to cocktails and now cookies. The whole format behind the series is to have a booklet full of information on how to achieve the perfect cookie, every time, whether you are a novice baker or a seasoned one. The book is divided into four chapters: drop cookies, bar cookies, molded cookies and rolled cookies. The notes on the perfect cookies and baking tools are perfect for beginners in the kitchen, giving them detailed explanation of what usually goes wrong in cookie making. The pocket size format makes it easy to have it around the kitchen and out on the counter top almost all the time. I like the fact that I can carry Anita’s recipes with me on weekend escapades, family gatherings or friends and have a delicious recipe to prepare for them! Knowing her care for details and wonderful writing skills, this book went beyond all expectations I had. Each recipe is so much more than just a recipe. It starts with a general description that reads more like a history lesson then just a description of taste and texture. All the recipes have a nifty little coding system making it easy to know where you are in the recipe: prepping, mixing, baking, storing, etc… I was so happy to be able to test Anita’s recipes and have a copy of her book that I asked her if she'd be ok answering a few questions that popped in my head while I was baking. Here are a couple to get your appetite going. For the rest of the interview, check the next issue of Desserts Magazine coming out next week. Tartelette: As the introduction states it, this book is about more than just cookies, but also tea cakes and small bites. How did you decide which ones would make it into the book? Anita: Even though 100 cookies sounds like a lot, it was tricky to decide which ones would make it and which ones would be cut. My editor and I wanted to cover as many styles of cookies as possible, and include ones that maybe many people had not heard of. On the other hand, since the book was primarily targeted for a North American audience, we needed to include many of the classics familar to most people and not scare them away with too many strange and unknown cookies. I hope I found a balance between many traditional favorites like chocolate chip and oatmeal raisin, but also the more exotic and international, like macarons and pizzelles. Tartelette: Which aspects of the writing experience did you like best? Baking, testing, researching? Anita: I really enjoyed researching the cookies. Since this cookbook is a little different than most other cookbooks with the longer entries, I needed to do a lot more research than just looking up recipes: I needed to find out where the cookie had originated, who first made them, how it evolved through time. I definitely boned up on my world history doing research on this book! Of course, I also enjoyed testing the recipes - my one biggest wish is that I had more time to test the recipes, because you always think of something else to tweak that might turn the recipe from good to fantastic! I had a great team of recipe testers to help me out, although sometimes I wished I had their job and could just bake all day, forget about the research and writing parts! Sift together the ground almonds and confectioners’ sugar in a bowl. In a stand mixer, beat butter on medium speed for several minutes until smooth. Add in the almond mixture and mix until combined. Add in the vanilla and almond extracts and mix until combined. Add in the flour and salt and mix on low just until combined and the dough starts clumping together. Turn dough out onto a piece of plastic wrap, wrap tightly, and chill for about 20 minutes. When you are ready to bake the cookies, preheat the oven to 350°F. Line a few cookie sheets with parchment paper or silicone baking mats. Form dough into 1-inch balls. Roll into a log and curve the ends to make a crescent shape. Place on cookie sheets about 1 1/2 inches apart. Bake for 8 to 10 minutes, rotating sheets halfway through; the edges of the cookies should turn light brown but the tops should not get too dark. Cool sheets on wire racks for about 4 to 5 minutes. 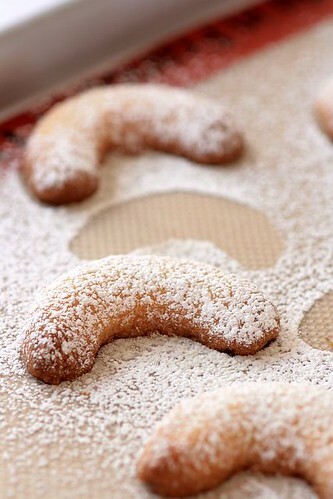 While they are still warm, roll cookies in the vanilla sugar to coat. Let them finish cooling on wire racks. They are best enjoyed the day they are made, but you can store them in an airtight container between sheets of wax paper for 2 weeks. Algerian Almond Tarts, (reprinted with permission of the author). Preheat oven to 350°F. Lightly grease a few cookie sheets or line with silicone baking mats. In a stand mixer, combine the flour and salt. With the mixer running on low speed, gradually add butter, egg, vanilla, rosewater, and lemon juice. Mix for a few minutes until dough is smooth. Cover dough with a damp cloth and set aside while you make the filling. Using a food processor, grind almonds and sugar to a fine meal. Add eggs, lemon zest, rosewater, and vanilla and process until all ingredients are evenly incorporated. Roll out dough to about 1/16” on a lightly floured surface. Using a 2 to 3 inch cookie cutter to cut out circles from the dough. Drop tablespoonfuls of filling into the center of each circle. Wet fingers with water and pinch the dough together into four corners, forming a cup around the filling. Or, if you have a mini muffin tin or other small molds, you can fit the dough circles into the molds and fill about 3/4 full with the filling. Place tarts on sheets. Bake for 20 minutes, rotating cookie sheets halfway through until filling begins to brown and the cookies are a light golden color. Remove sheets from oven and place on wire racks. Drizzle honey over each of the tarts. Let tarts cool on sheets before serving. Store in an airtight container for up to 1 week. Indian Almond Cookies, (reprinted with permission of the author). In a food processor or blender, grind blanched almonds to a fine powder. Add milk and mix until a smooth paste is acquired. In a heavy saucepan, combine the paste, sugar, and cardamom at medium-low heat, constantly stirring to avoid burning; stir 8 minutes or until a lump of dough is formed. Spread the dough onto a lightly greased jelly roll pan or baking dish, flour or grease a rolling pin, and and gently roll the dough to approximately 1/4 inch thick. Apply silver foil and press slightly with the foil’s paper packaging or a paper towel so that the silver adheres to the dough. As the dough cools, its texture resembles that of marzipan. Once it has completely cooled, cut it into 1–2 inch diamond shapes. They will keep up to 1 week if sealed in an airtight container. 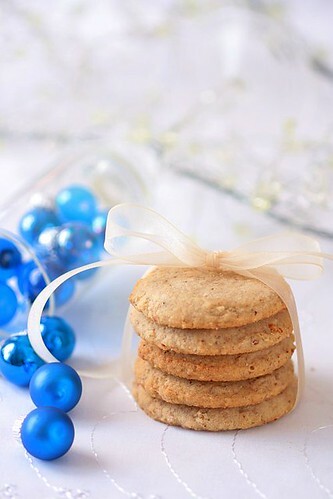 Pecan Sandies, (reprinted with permission of the author) Perfect for Christmas! Kitchen Note: the day I made these we had 100% humdity so my dough never got firm enough to even roll into a log and I ended up doing drop cookies instead. Turned out perfect. Grind pecans and sugars together in a food processor until the nuts are finely ground. Add in the flour and salt and process until combined. Cut the butter into small pieces and scatter over the mixture in the food processor. Process until the mixture resembles coarse crumbs. Add egg and vanilla and process until the dough comes together. Turn dough out onto a piece of parchment paper or silicone baking mat. Roll out to about 1/4 in thick. Sprinkle the dough with a little flour if it gets too sticky. Cover the dough with plastic wrap and chill in the refrigerator for about 1 hour or until firm. When you are ready to bake the cookies, preheat the oven to 325°F. Line several cookie sheets with parchment paper or silicone baking mats. Using a cookie cutter, cut out cookies from the chilled dough, about 2 inches in diameter. Place a pecan half in the center of each cookie. Bake for 18 to 20 minutes or until the edges of the cookies turn golden brown, rotating cookie sheets halfway through. Cool cookie sheets on wire racks for a couple of minutes before transferring cookies directly onto wire racks with a spatula to finish cooling.Store in an airtight container for up to 1 week. what's a second surprise this morning!! !the firt one was to can buy the Anita's book here in Italy! I was thinking it's too soon to read your post about "the book travel around the world" and what I see? Your post!! Thank you very much to you and Anita!!! simply gorgeous! i am looking forward to getting my hands on this book! i'd love to have this book... what you call "Viennese Almond Crescents" is called "Vanille Kipferl" in germany and i do them every year in rough amounts. i take real vanilla and vanilla sugar for topping and twice the butter... i can already smell them! thank you ;-)! As always your pictures are so beautiful! I am especially intrigued by the Indian cookies as they look exactly like the ones I had in India this year so I'm curious to try them myself! Waouh quelles magnifiques photos, et des petits gâteaux qui donnent envie! All of them look fantastic Helen! How awesome - especially this time of year, I think we are all on the lookout for different cookie recipes. And I'm sure this cute book would make the perfect cookie-swap hostess gift! oooh1 I love the idea of using this book as a hostess gift - smart! What a wonderful collection of cookies! They are all incredibly beautiful and scrumptious looking! Wow! BEYOND amazing array of treats!!! 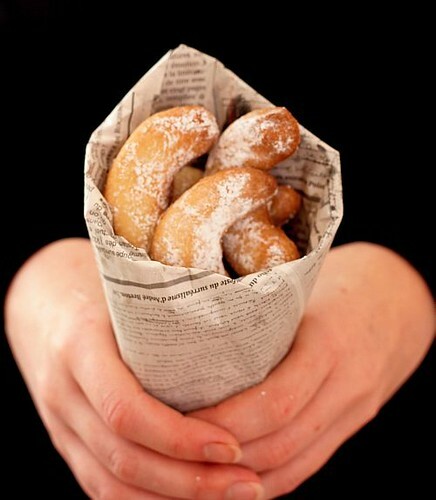 Oh my god...they look delicious and the photography is impeccable. Great job, Helen! Yum, cookies... I've been following the tour, can't wait to see what the others come up with. Those chocolate crinkles look amazing, but I wouldn't say no to the Algerian almond tarts either. I may just have to go and get myself this book. Dani: follow the link to Sara's blog Ms.Adventures In Italy and you will find the chocolate crinkle recipe. Just gorgeous, Helen! I am so flattered and thrilled to have my cookies on your beautiful blog! Thanks for making so many of them - you're a true friend, and I look forward to seeing the Desserts article as well! You can bet I'll do everything I can to return the favor when your book comes out!! Thanks so much again for a wonderful post!! I think I just found ANOTHER cookbook I need to add to my collection! Your photos are making me want to start baking right now! how fun! the chocolate crinkles are so cute! This is SO cool! I have always wanted to collect a certain thing from all over the world...but I didn't think to make cookies from all over the world. They all look tasty in their own way. Great post! i would like to virtually eat them all, especially all of them...what a great idea! All those cookies look wonderful. I was wondering though, is the silver foil necessary for any reason (like to hold the cookies together), or is it strictly decorative? The foil for the Indian cookies is not necessary to hold them up but it is a traditional Indian way to decorate them. What an exquisite cookie tour. ooooo! I'm dying to try these out...I'm especially excited about the viennese crescents & the indian almost cookies! wowww... they are real pretty. I love the chocolate crinkles.. very very nice! All of these cookies look wonderful! I so look forward to the rest of the tour! I think the idea of this book is so great! And I'm putting in another bravo for the chocolate crinkle photos. They look so good and so perfect! My grandma made them by the gross at the holidays, to go with her peffernusse cookies. And they were each beautiful and perfect. You've inspired me! Fantastic photos! I want to try each of these! hey ask this cookie book lady why she's not visiting seattle! Ou que ca met dans des etats de fete de voir tous ces gateaux! YUM... they all look delish! What a gorgeous array of cookies!! I have my eyes on the indian and alegrian cookies!! 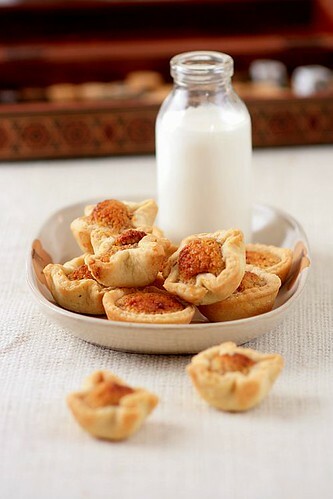 I just ordered this yesterday, can't wait for it to arrive, the indian spiced cookies and algerian tarts look gorgeous! I love the collection of cookies you made from this book. My favorite a stack of those yummy looking pecan sandies! Interesting, very nice. I am from the Slovak Republic. I am also a site for recipes for cooking. Only it be translated through Google translate. And oh, what a wonderful tour! I am deeply intrigued by the Indian almond cookies especially--I think that will be my next recipe to try! Looks like you had a great time taking this collection for a test drive! I can't wait to get Anita's book! I am thrilled for her. Great post! I love the cookies you tried. They all look terrific! Thanks for stopping by Just Cook It, glad the rillettes post was helpful! Also, you have a really wonderful blog, really looking forward to reading more. Great choices! You should have done the photography for her book ! The silver leaf for the Indian cookies was given to me by a reader/friend. I think they are easily available at Indian grocery stores. What an incredible blog post! i can't believe how many delicious cookies you shared with us! THANK YOu for the interview too! I'm really looking forward to the rest of the interview, Helen. You photos did Anita's cookies proud, that's for sure. Thank you all for your comments about the cookies that Anita wrote about. Run to get the book, you won't regret it!! Oh dear, I am now driving myself insane trying to decide which cookie recipe to try out first... too many cookies, not enough time!! Oh yum! Sounds like a book that any level of baker would enjoy! All these cookies make my head spin! They are all beautiful! I've been sick of seeing the same old cookie recipes, so I read this post at the perfect time! I love the Algerian and Indian ones, and it's neat to see chocolate crackles right alongside them--my mom's been making them since I can remember. Oh boy, another cookie cookbook. Do I need another cookie cookbook? Yes!! They all look so lovely!!!! 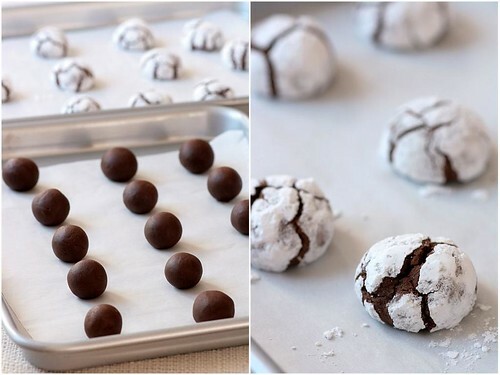 Love the chocolate crinkles! I've made them before but the icing sugar always seeps into them leaving them looking no so pretty. Tips? Wow, these are great recipes. I love making cookies thanks for the new ideas! ahh, these all look so delicious. those algerian almond tarts in particular...must make them asap. can't wait to see the book itself! So many wonderful options, Helen! I need cookie ideas for gifts and these are amazing! Whoa, mouth-watering cookie overload. I'm not sure where to start, but they all sound (and look) so good! With 'Mothers' cookies out of business I think you should take over the cookie world. I love your photos once again. On dial up it takes forever to load your page. I went through a few posts tonight. The wedding cake is so pretty, not too simple, not too fancy, and the flavors are perfect. 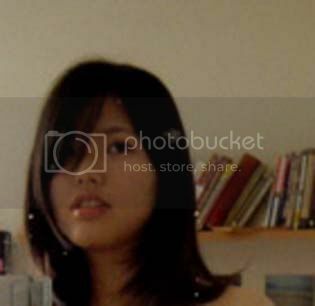 Also, you are quite pretty, I had never seen a photo of you before. Amber: thank you! Trust me it took all the courage I had to put up pictures of me! What a wonderful tour... eye-candy and inspiring. What a wonderful concept...I love the virtual book tour idea! And the book looks absolutely delicious! I can think of a couple of people who would LOVE to receive this for Christmas. Thanks so much for sharing! With your magic hand, all of those cookies look mighty gorgeous and delicious. I just loved this post. There's just one thing I'd like to correct you on. What you've called Indian Almond cookies arent cookies at all. They are in fact an Indian dessert which can be made with cashews, almonds, pistachios, figs, dates, all of the above or simply milk. 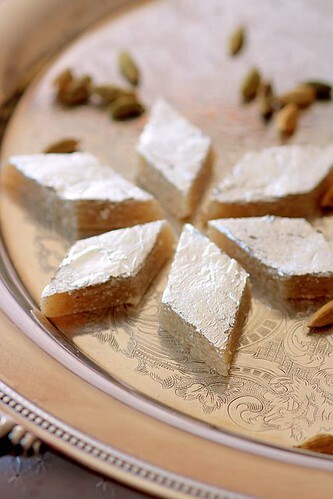 These are the Indian equivalent of fudge called barfi or burfi in India. Absolutely no connection to cookies. also someone had asked about the silver foil - that's used because of an old indian ayurvedic principle that suggesting feeding people precious metals like silver and gold in miniscule quantities. I dont know if it actually has any nutritive value - but that is why those are used. And the almond variant in particular is seen as among the most expensive, served at special festivals like diwali only by people who have a lot of money. "The word cookie comes from the Dutch word koekje, the diminutive of koek, which means "cake". But cookies are much more than little cakes, for centuries they have been baked as individually portionned sweet treats for special occasions, from religious holidays to birthdays. ()Cookies can be found in an astonishing variety of forms around the orld, but all cookies have several characterisitics in common: they are indivially portionned, they are firm and compact enough to be eaten by hand, and with a few exeptions they are flat compared with muffins and other pastries." This might explain her and her publisher's choice to include certain items like the barfi that you consider a dessert or the profiteroles that I consider a dessert, or a financier that I consider a tea cakes. They decided to use the term cookie in its formal way and not the one we think of today. I read about this book on Canelle et Vanille and it sounds wonderful. Thank you for the Q&A with Anita! Your blog is really amazing. I really love your style and the wonderful images! Your writing skills are so good. I truly appreciate this article post. Thanks for sharing. A Buttercream Weekend - In Need Of Fruit!